Removable Blankets - Amity Insulation Group Inc.
Amity is proud to be the approved and recognized Canadian distributor of high temperature textiles and accessories developed by Lewco Specialty Products Inc. Lewco's acclaimed thermal insulation materials are in constant high demand due to their performance and longevity. Superior thermal insulation products by Lewco are continually stocked by Amity's distribution and fabrication centre in Alberta, Canada. 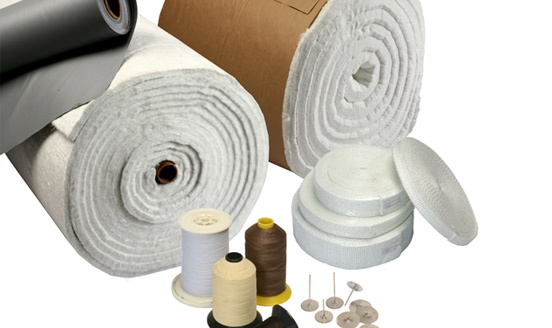 Our inventory consists of, but is not limited to Teflon & Silicone cloths, E-glass LewcoMat, Super Mat hydrophobic blankets, quilting pins, washers, D-Rings, stainless steel mesh, sewing threads, tapes, Polycord, velcro hook and loop, and other quality inputs for high-performance industrial projects ranging from petrochemicals, to aerospace, and wind energy. Lewco's dedication to innovation and manufacturing excellence has made its products an essential part of industrial work. At Amity, our quality focus ensures brands with integrity like Lewco are readily available for your use on mechanical insulation projects demanding trusted materials. Amity Protherm Cellular Glass is ideally suited to insulating piping and equipment applications above or below ground. Our cellular glass is manufactured to meet or exceed the requirements of ASTM C 552.